This post contains affiliate links. 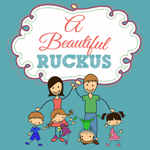 Thanks for supporting this blog and my family! -make note to self to add "make invitations" to my to-do list. Yeah, I have a ways to go. Since I'm thinking about the upcoming celebration, I felt it only made sense to peek back at his first birthday party. I can't believe it was almost a year ago. He is growing up too fast! I haven't shared these photos before - I'm not sure why, because they are way too fun. Lincoln's nursery theme is Super Mario Brothers World, so when we were deciding on a theme for his first birthday, it only made sense to go this route. 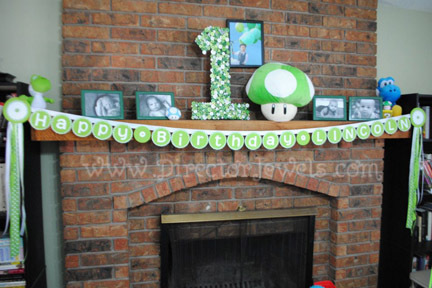 Ultimately, the theme was 1-Up - appropriate since we had taken his photo with a giant plush 1-Up mushroom every month since birth, and because he was turning 1. 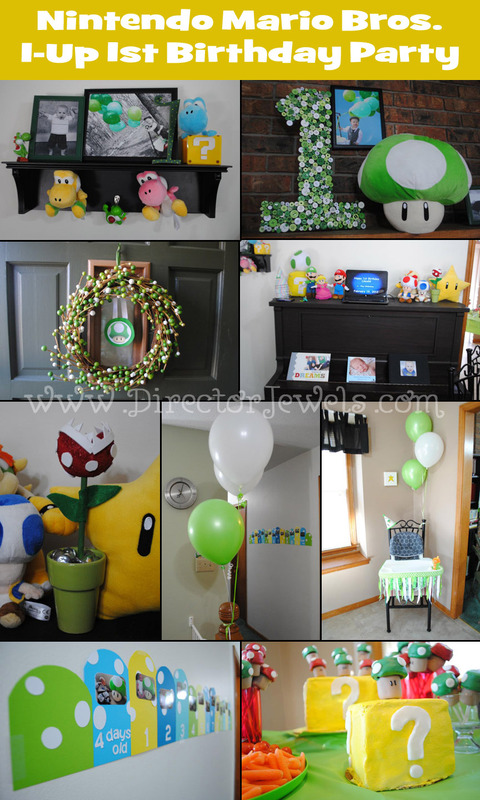 I spent most of the week leading up to the party crafting and baking. 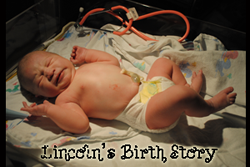 I was able to borrow a friend's Cricut die cut machine to make some my Happy Birthday Lincoln banner - and it turned out so well! 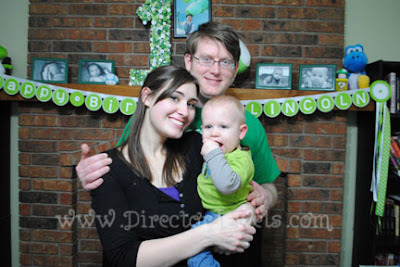 Photo frames have pictures from newborn, 3 weeks, 6 months, and 8 months. Closer view of the banner. I just used scrapbook paper from Hobby Lobby. 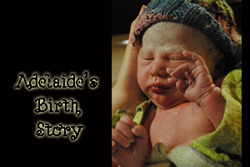 I had a lot of fun making this super cute monthly photo banner! I still have it in my craft room, and can't decide exactly what to do with it. 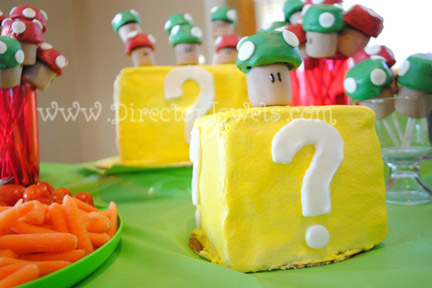 My wonderful friend Stephanie spent an entire day helping me craft the question block cake and mushroom pops. There was a whole lot of trial and error involved - and I had to go to the store in the middle of the process because I baked a cake without any water in it. It should be apparent to all that baking is not my strong suit. Stephanie, however, makes amazing cakes. I was super grateful for her help! 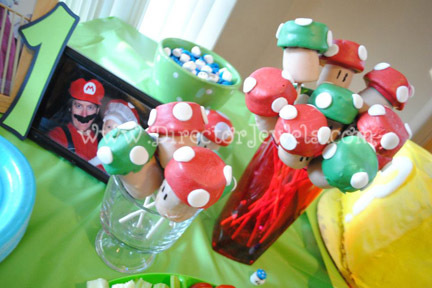 Mushroom Cake Pops! Aren't they fun? The other big baking project was these Mushroom Cake Pops. They turned out far, far better than I dreamed possible. They were made from large marshmallows, miniature brownies (from Target), candy melts, and fondant. I hope to share a tutorial on how to make them sometime soon! They were incredibly time-consuming, but made the party table look fantastic. I tried to make tiny blue mushrooms from mini marshmallows and M&Ms, but it didn't work out quite as well as I had hoped. The mustache straws - made in the style of both Mario and Luigi - were a big hit. I remember last year when I took these photos - I thought he was completely grown up. And now he looks like a tiny baby! I can't believe how fast they grow. 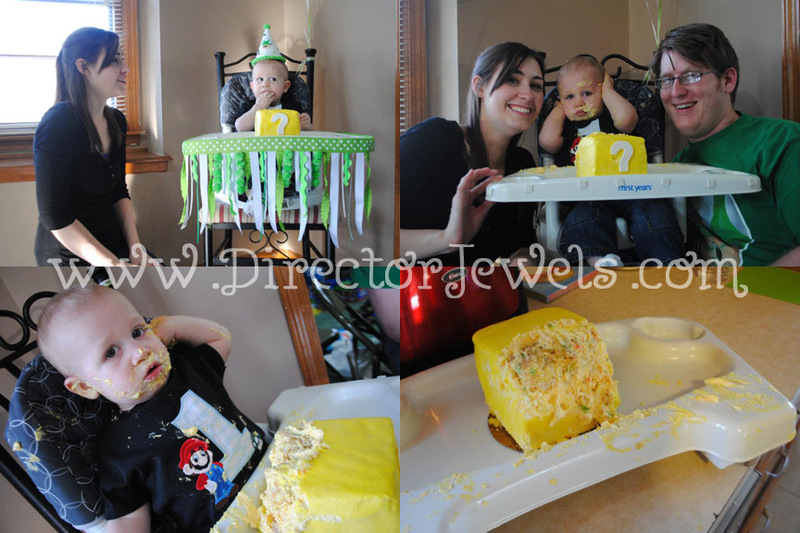 He really wasn't sure what to think about the cake. He hadn't really had sugar before this party, so I think the taste was overwhelming. He took a few bites, smeared it into his hair, ears, and eyes, then freaked out and had to have a bath and new clothes. He didn't calm down enough to go back to the party until he nursed, as well. 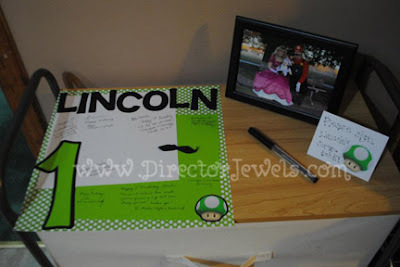 Scrapbook page for all of his guests to sign. 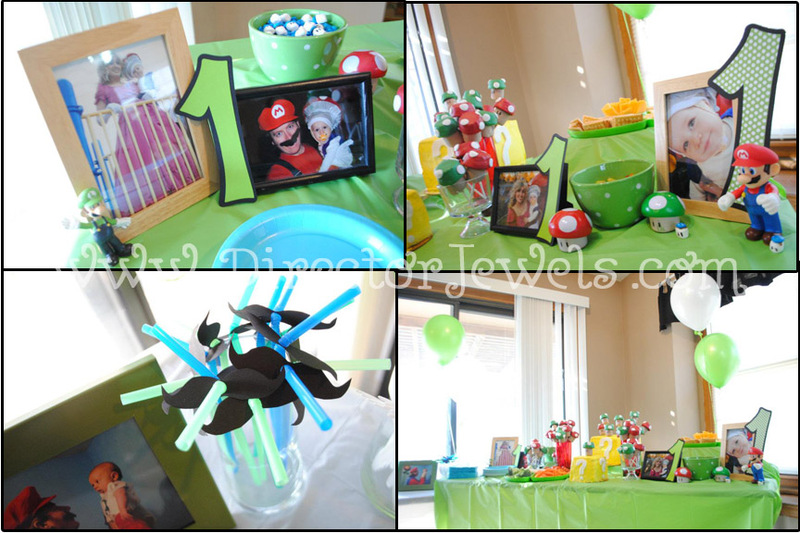 I used photos from Halloween 2011 to decorate the party. It was perfect! 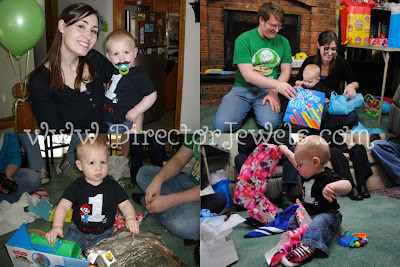 He didn't entirely understand the gift opening process, but everyone enjoyed watching him anyway. It was a wonderful birthday party for our little man. 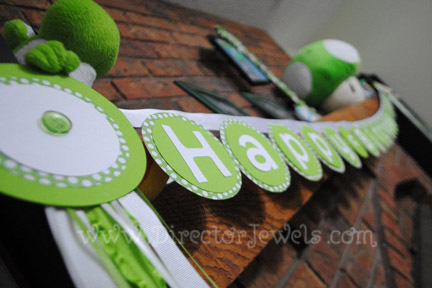 I'm getting excited to start crafting for the second birthday celebration! 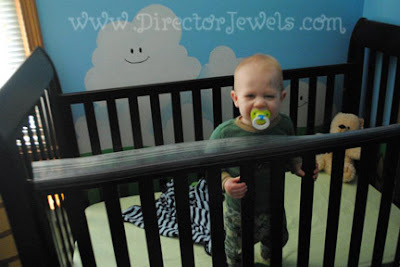 If you know of any blogs with inspiration for a Mickey Mouse Clubhouse party, send them my way! Thanks! It's HARD to find motivation! 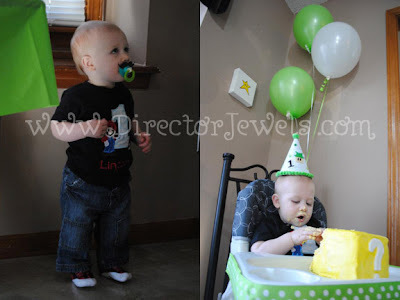 I have Lincoln's 4th birthday party this weekend and I've barely done anything to plan yet...yikes!